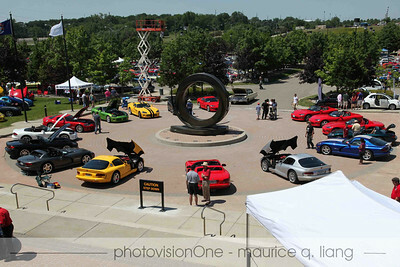 2012 Chrysler Employee Motorsport Association car show on June 9, 2012 at the Walter P. Chrysler museum in Auburn Hills MI. 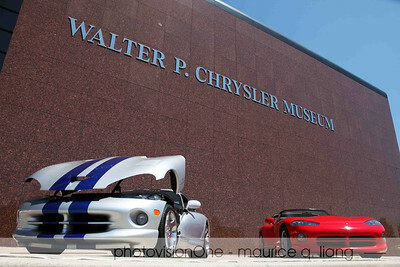 Chrysler Employee Motorsport Association (CEMA) 2012 show at the Walter P. Chrysler museum, June 9, 2012. 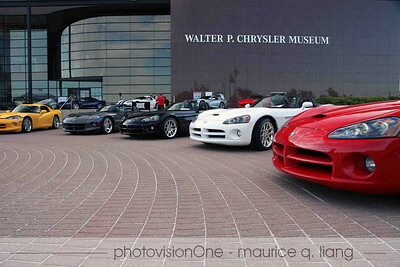 Featuring 20 years of Vipers. 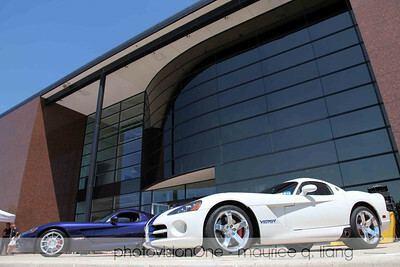 Joanne Gray's violet '08 coupe and Tom Sidlik's '06 VOI edition. 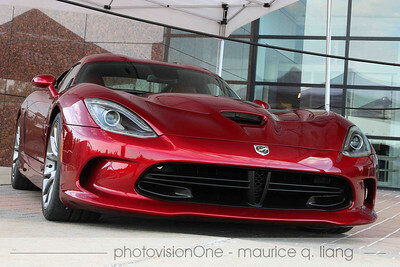 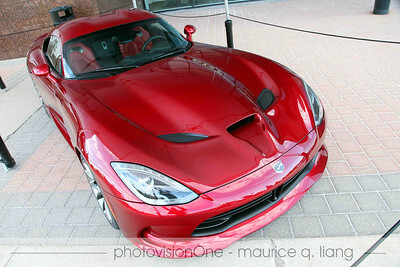 2013 Viper was featured on the "porch". 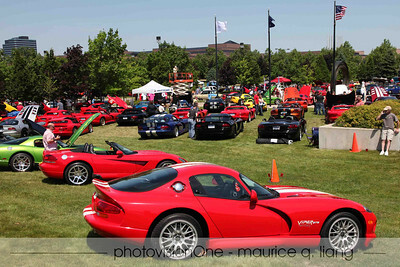 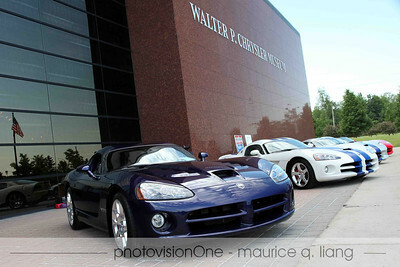 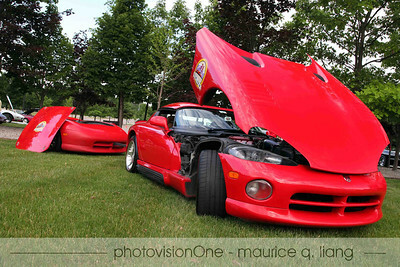 20 years of Vipers featured in the circle. 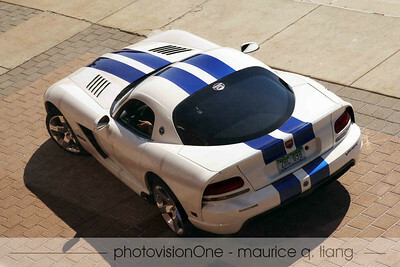 Roy Sjoeberg's Viper with his Viper trailer. 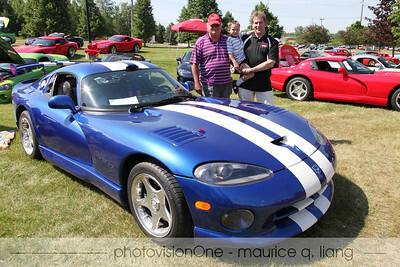 John Wojnar brings his GTS and family from Ohio. 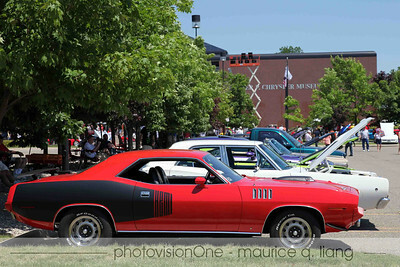 Muscle cars including a '71 Hemi 'cuda. 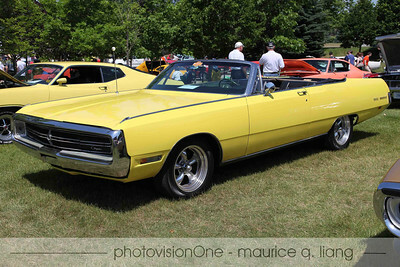 A fun cruiser - '69 Chrysler 300. 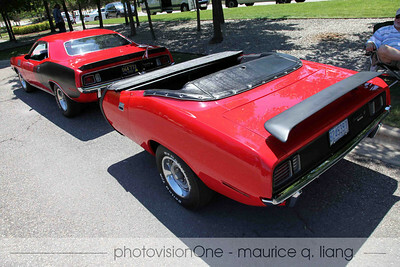 '71 'cuda with matching trailer. 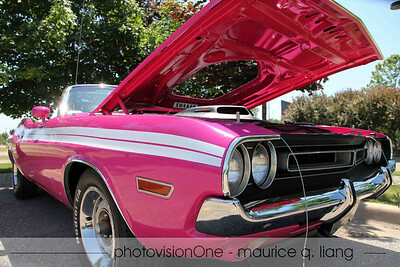 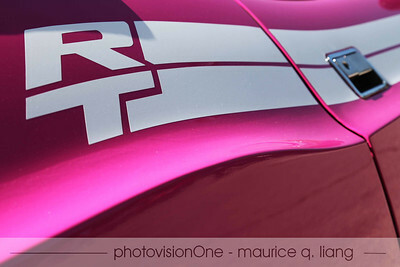 Panther Pink '71 Challenger R/T convertible. 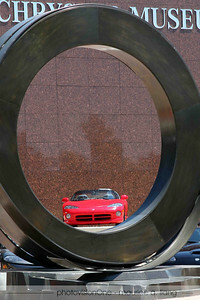 Missy hangs out with her Big Daddy Don Garlits truck. 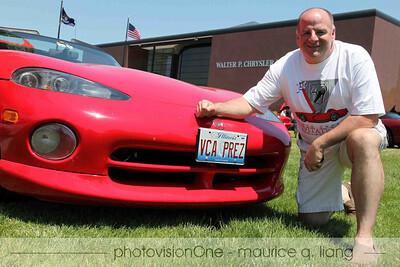 VCA Co-Founder and former national president, Steve Ferguson. 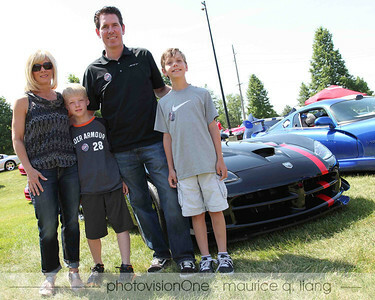 Mark Trostle & family check out the car show. 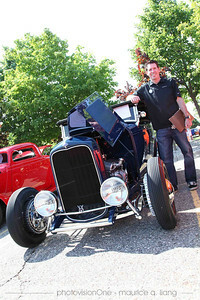 Head of SRT & Motorsports Design, Mark with his '32 Hot Rod. 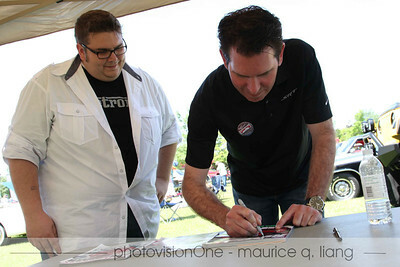 Mark autographs some magazines for Canadian dealer Dave.